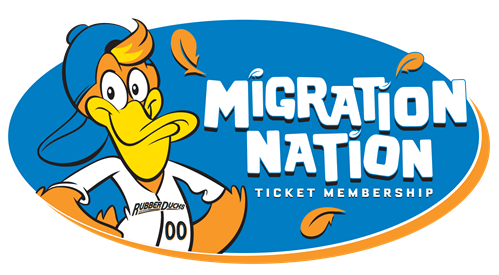 It's a new ticket option that grants members access to a General Admission ticket for every 2019 Akron RubberDucks home game they wish to attend. A membership is a monthly subscription for just $29.99 for each of the 5 months of the season (April, May, June, July, August PLUS the 2 regular season home games in September and any home Playoff games being included in the August membership). The monthly membership fee will be automatically charged on the 1st of each month. Your tickets will be delivered to you digitally at the beginning of each month. Members will be able to skip the line at the Box Office and simply present their digital ticket on their smart phone as they enter the gates to Canal Park. Is there a limit to the number of games I can attend? Nope. Members can attend as many of the 70 regular season home games as they want. Are the tickets able to be upgraded? Membership tickets are only available as General Admission tickets and can't be upgraded. You can cancel at any time and receive no further charges. Simply call the RubberDucks ticket office at 330-253-5153 before the next month's charge is applied to cancel your membership.